The sharper blades amongst you will have noticed the absence of the Special Correspondent for most of 2018. There were several reasons for this unfortunate state of affairs, time spent finishing off his next book, then some health issues, all conspired to deprive us of his wisdom. The good news is that he is fighting fit once again and that the book is now in the production stage, more on that exciting prospect later. Even better news is that he has a series of pieces stored up to carry us through this season of short days and miserable weather. 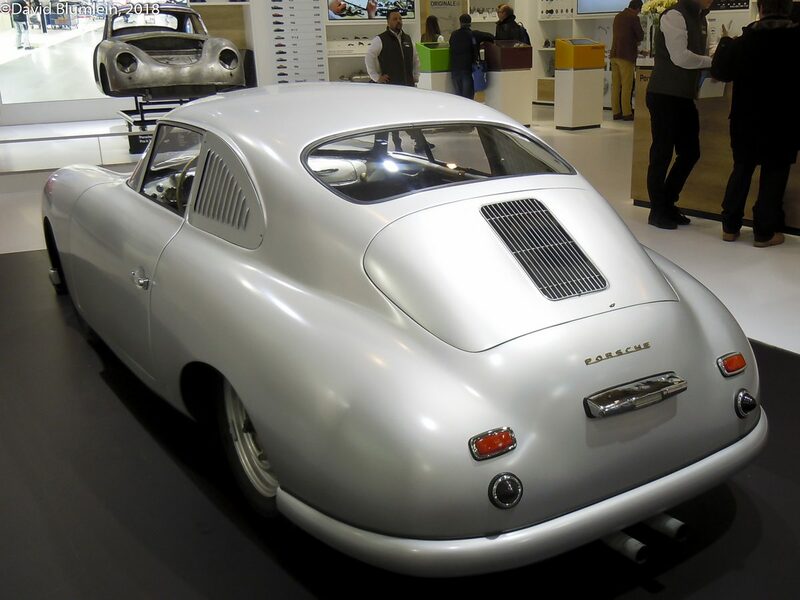 Earlier this year we hopped on the train and made our way to Essen for Techno Classica, here are some of the delights that he found in the halls………. 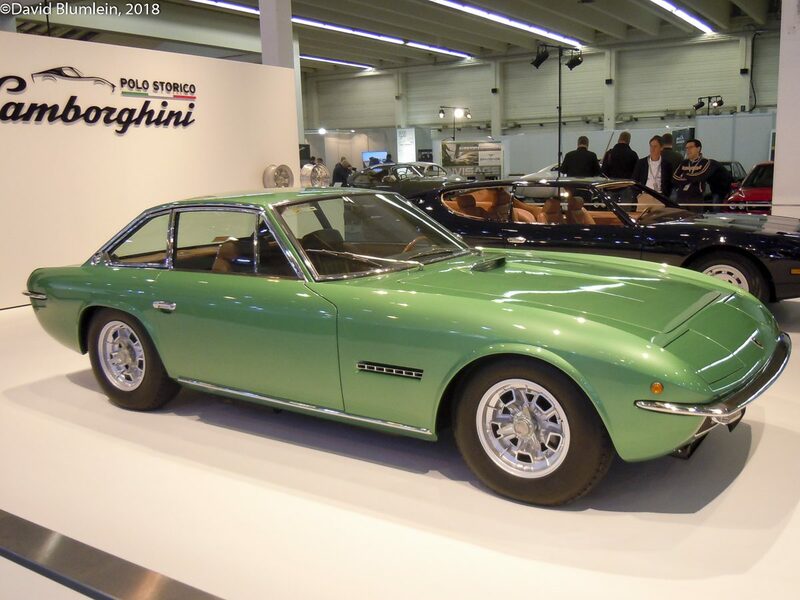 Often overlooked is the Lamborghini Islero, a replacement for the 350GT/400GT and made from 1968 to 1970. It had a body by Marazzi who founded his Carrozziera in 1967 outside Milan, employing some workers from the bankrupt Touring concern – Marazzi is remembered especially for his production of the beautiful Alfa Romeo 33 Stradale. The Islero was the first Lamborghini to appear at Le Mans: a private Islero 400GT, painted a gorgeous red, practised in 1975 but it was too heavy and failed to qualify. 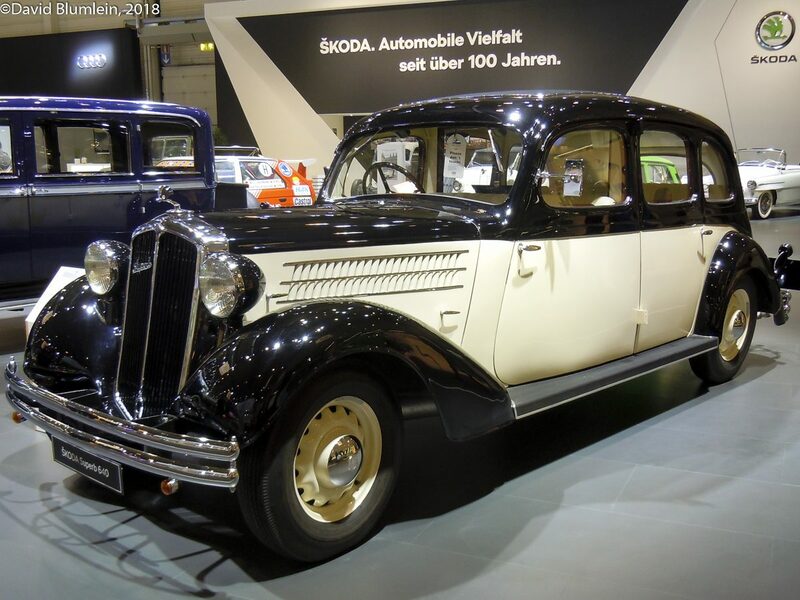 This Type 640 Skoda was the first of their cars to be given the name Superb. It had a 6-cylinder side-valve engine of 2,492 c.c. and was built from 1934 to 1936. 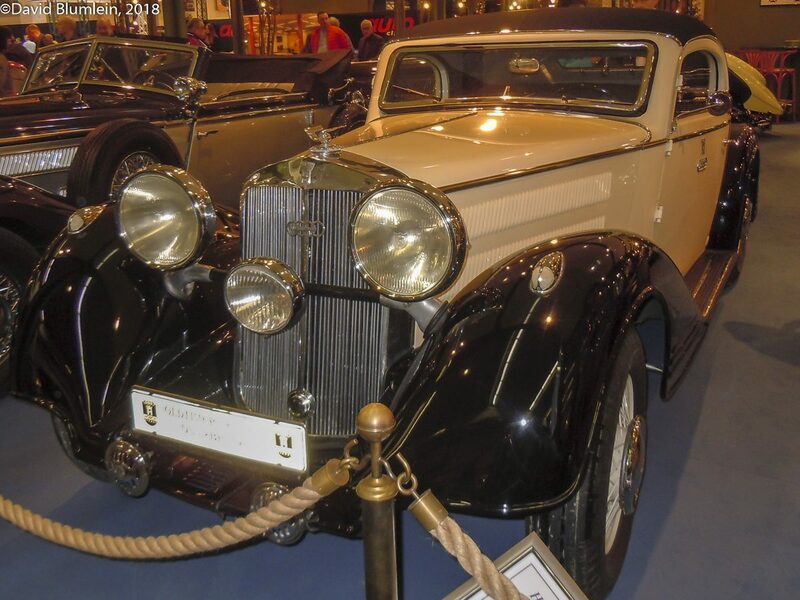 This was also the first Skoda to have hydraulic brakes. Porsche built 44 of their 365/2 coupés in their original home in Gmϋnd, Austria. They proved ideal for competitions with their aluminium body, high torsional stiffness and aerodynamic efficiency. The rally-plate on this example recalls the outright win by Polensky and Linge in 1954 on the Liège-Rome-Liège, always one of Europe’s toughest events. Once in power the Nazi Party was both quick and keen to promote German motorsport and one of the important events of the mid-Thirties was the 2000 km durch Deutschland Trial, a demanding run around this big country. 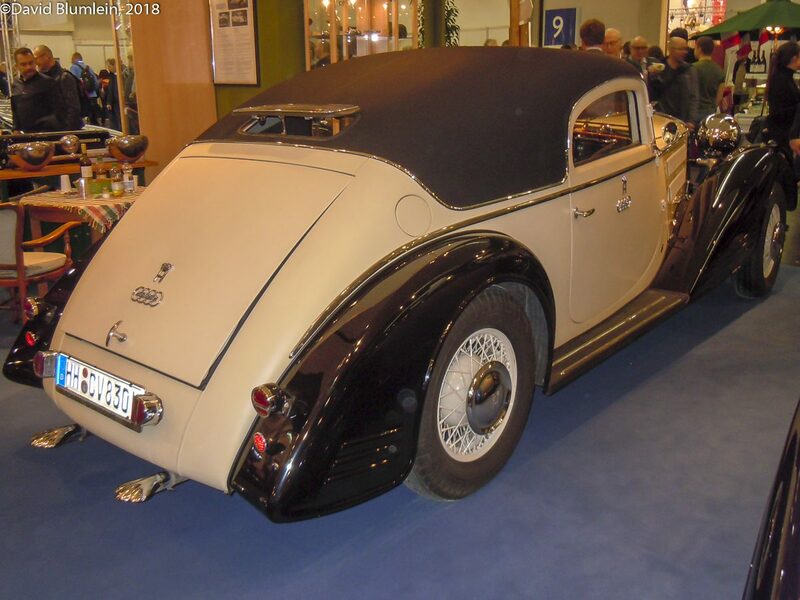 The major German motor manufacturers built special cars for the event, not least Mercedes and the Auto Union combine, and this Horch 830 Coupé was one of a team which took part in July 1933. A 3-litre V8 supplied the power. This is a DB-Renault, one of three built for Le Mans in 1954. 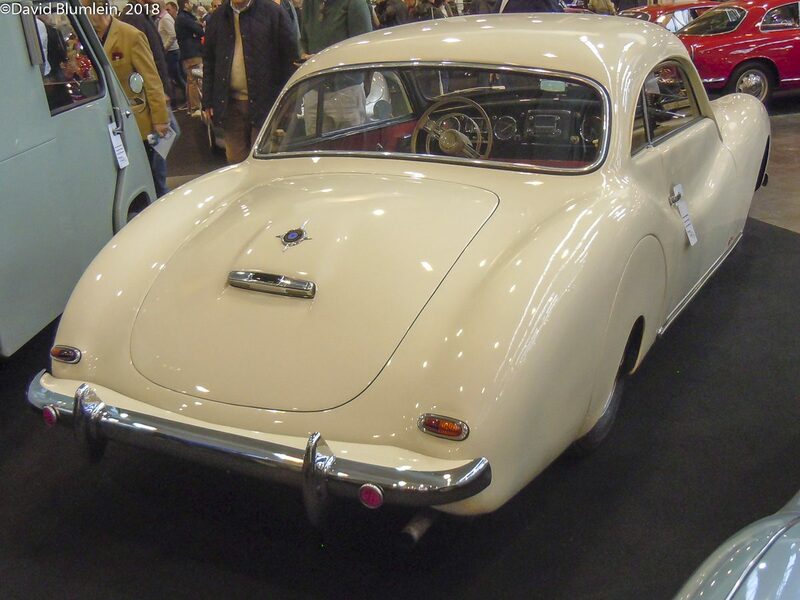 They were unusual in several ways: they were the first cars to come from Charles Deutsch and René Bonnet with a mid-mounted engine, they used Renault motors whereas all DBs from 1950 had used exclusively the flat-twin Panhard engines and they had central driving positions. This car is chassis 2003 and, like its team-mates, failed at Le Mans It also retired in the Reims 12-hour race but Jean Lucas won his class at Amiens and finished 5th at La Baule. 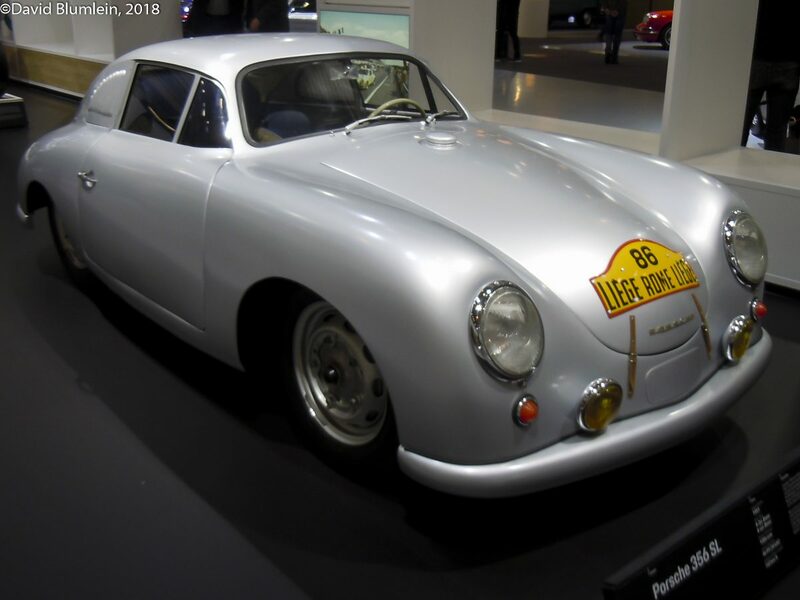 DB did not repeat the experiment and stuck with Panhard power till the end but when Bonnet split with Deutsch for 1962 he turned completely to Renault power and mounted the 4-cylinder engine amidships in the Djet. Veritas was one of the main small companies instrumental in the revival of German motorsport in the immediate years after the Second World War. They used the chassis and engine of the pre-war BMW 328 as the basis of their initial production and created modern streamlined bodywork, the tuned machines being successful in domestic sports car races. 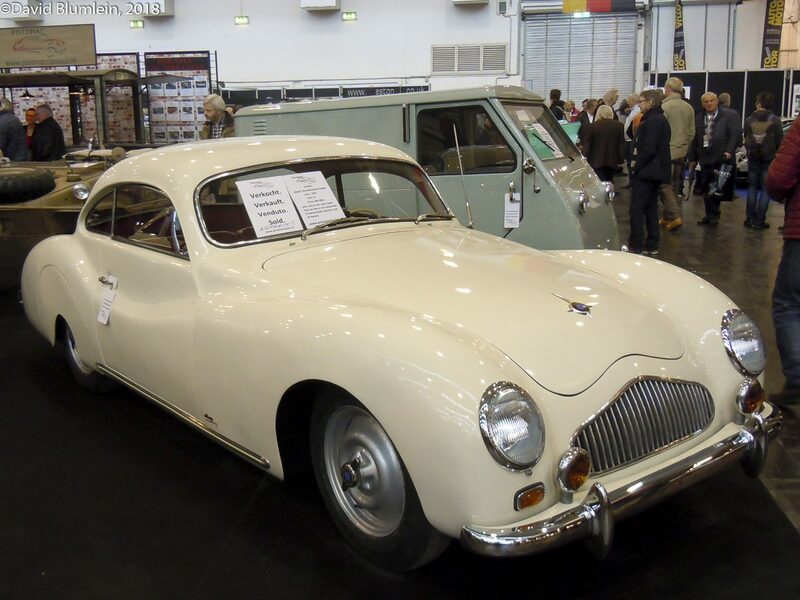 The company went on to make some attractive road-going coupés and as the supply of BMW engines dried up, a 2-litre 6-cylinder overhead cam engine made by Heinkel was used. Eventually one of the founders, Ernst Loof, set up on his own at the Nϋrburgring this is one of four Nϋrburgring Coupés of 1957. 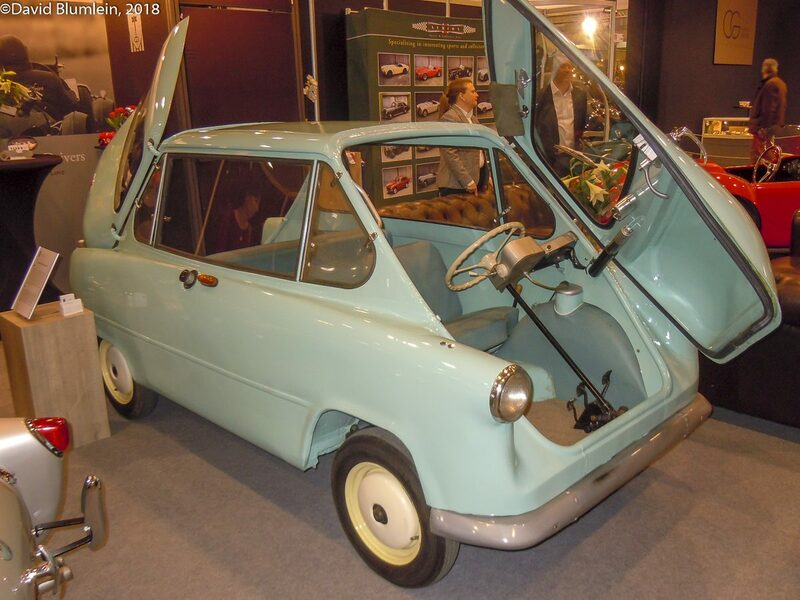 This microcar, the Zϋndapp Janus, was the only car made by the German motorcycle manufacturer. Powered by a single-cylinder two-stroke 245 c.c. engine giving just 14 h.p., the car with opening front and rear doors was named after the Roman god Janus who had two faces. 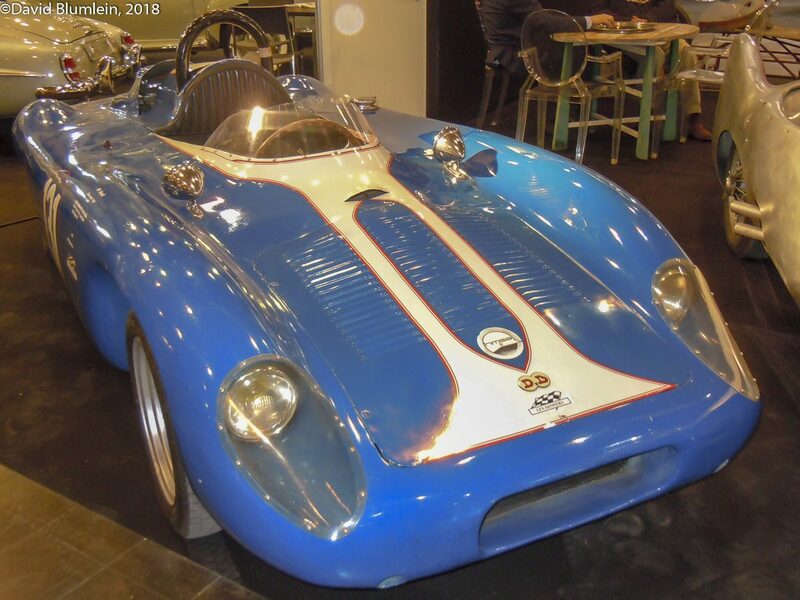 This entry was posted in Rare and Interesting and tagged DB-Renault, Horch 830 Coupé, Lamborghini Islero, Porsche 365/2, Techno Classica, Type 640 Skoda Superb, Veritas, Zϋndapp Janus on November 29, 2018 by John Brooks.